Johannesburg - The old Women’s Prison at Constitution Hill reverberated with a different kind of call when the 2016 Moshito Music Conference & Exhibition was launched on its grounds today. Music industry practitioners and media took to the historic venue at the Constitution Hill in Braamfontein, a transit prison where awaiting-trial activists used to be held before being sent off to Robben Island or Pretoria to serve lengthy jail terms, to launch Moshito Music Conference 2016, appropriately themed ‘Censored: When the Revolution Could Not Be Televised’. Revealing an exciting programme that includes intriguing conference topics, network sessions, music demo presentations and artists showcases, Moshito promises to live up to its brand promise of being Africa’s premier music market and event. Having started off hosting less than five music markets, Moshito has experienced exponential growth attracting music industry experts, musicians, festival promoters, booking agents, music managers, record labels and exhibitors from over 15 local and international local music markets under one umbrella to network, discover talent and strike deals necessary to the growth of the creative industries. 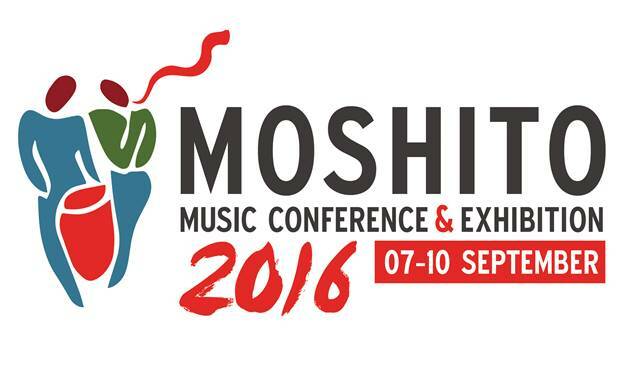 There are over 100 panellists participating in over 12 topics - 5 breakaways, 5 plenaries, 2 workshops, 1 music managers meeting, as well as demo and music showcases - Moshito 2016 is poised to be a place where music meets business and business meets music. This is the third year in a row that the Moshito Board has chosen a theme that best reflects the historical developments of South Africa’s music heritage and artist expressions. Sithole explained that for the Moshito Board to choose the theme ‘Censored’, it had to look at those musicians and artistic voices who appropriated their message through songs and brought the plight of the marginalised people, much to the irritation of the State, to the attention of the world, to listen and take heed. Quoting Plato, Sithole stated that it was not uncommon for the dominant class not to pay attention to the voices of the subordinate class because, as Plato stated in the book the Republic, “Any music innovation full of danger to the whole State, ought to be prohibited”. It is no coincidence that this year’s Face of Moshito is Roger Lucey, who composed and performed songs with lyrics that were scathing on the apartheid government. This brought him to the attention of the apartheid regime’s Bureau of State Security. Lucey, who is also SAMA 2016 Lifetime Achievement Recipient, is paired with Gigi LaMayne, the multi-award winning hip-hop chanteuse and top graduate of Wits University in Media Studies. “South Africa is increasingly beginning to focus on cultural and creative industries as potential contributors to economic growth and job creation. Given the challenges of youth unemployment, the creative sector, particularly the music sector has become an attractive value proposition for young people wanting to participate in the creative economy. Today, young people own music labels, music production facilities and have become the source for broadcasters and promoters looking for fresh music to be played on radio, television and performed in public spaces. Moshito therefore is the obvious platform for music practitioners who want to engage, network and grow their business. We remain committed to ensuring that Moshito continues to perform its mandate for the benefit of the music industry as a whole”. Monica also stressed the need for the unity of the music sector and the development of sustainable and resilient development and enterprise models to ensure the growth of the sector. Moshito will once again start this year’s conference with an Opening Concert on 7 September at M1 Studios, followed by the ‘Censored: Afro-World Music Concert on 8 September at the Joburg Theatre, the Beat Music Festival at Zone 6, Soweto, the Urban Street Festival in Melville on 10 September and an after party extravaganza at Ragga Night hosted by African Storm at Bassline, Newtown on Thursday night. For more information, visit www.moshito.co.za.